Thinking of Becoming a Specialty Pharmacy? Find Out if You Have What it Takes! Thinking of becoming a Specialty Pharmacy? 1. What is your specific area of interest? supporting. This is more than just another script; this is a relationship between you, your patient and their physician. 2. Do you understand the local and regional specialty market? (Medicaid/Medicare), and how they are all managing their specialty patients. 3. Are you limited by your current space? because although the process is long, growth can come rapidly. 4. Are you meticulous about your practice? 5. Are you committed to patient care? You need to learn and be knowledgeable on the drugs you dispense and the patients you manage. Specialty prescriptions don’t walk in the door – you need to work for them by either having a sales team or plan to sell yourself. Up-front investment is required for PA/Benefits Investigation, Prescription Assistance/Co-pay assistance programs, Adherence/follow-up, and monitoring of clinical information for reporting. You will be in the big leagues now – higher ticket scripts, larger wholesaler bills, and more AR is inevitable. Changing your patients’ lives by having access to specialty medications is important to you. Offering your patients the best service available is imperative in your pharmacy. 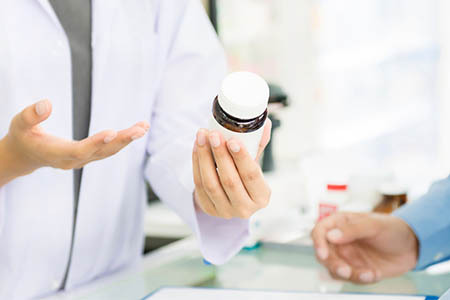 You know it’s going to take a lot of work, a lot of capital, and be a long process – but you know the benefits for your patients and your pharmacy will be worth it if you become a Specialty Pharmacy. With an expertise in the Specialty Pharmacy market, we understand the challenges and obstacles you will face. Our consulting services offer an opportunity for us to work with you to analyze the opportunities and help you get successful results. You aren’t alone – UpTrend Consulting & Creative is here to help you. Ready to take the next step? Contact a member of the UpTrend team so that we can find out more about you, your pharmacy, and the desire to become a Specialty Pharmacy. Get ready to Set the Trend. Get Results!